ABC nyheter (Norwegian ABC news) is reporting something interesting in this article. Turns out that all is not well inside the Norwegian CPS called Barnevernet which 2 months ago unfairly confiscated the 5 Bodnariu children. This was said in 2013 before her promotion and we know that Barnevernet has not been reformed since then. It has continued a pattern of child confiscation based on trivial matters as is the case in the Bodnariu family. The article has another surprising twist to it because it links to another piece that is critical of how CPS uses psychologists in assessing the children who are confiscated. Many experts in Norway say that psychologists are forced to agree with CPS and render professional reports which agree with the CPS position. What happens if they psychologist sides with the child and the family? They lose the contract and their CPS referrals. These are some of the stories in the Norwegian press resulting from the Bodnariu saga and the world-wide protests against Barnevernet. It is good news for us. Norway can no longer ignore what is happening at the international level, especially with news that a Romanian parliamentary delegation is traveling to Norway this week in an attempt to resolve the Bodnariu case. Famous for an overzealous CPS who took 5 kids without warning, without investigation, without attempting to counsel the family. We are encouraged to see that many Norwegians are standing up to the abuses perpetrated by Barnevernet. We hope to see the Bodnariu family and the other families reunited immediately. We hope to see the system reformed and human rights respected. Best news we’ve heard in a while!!! The American press is now hot on the tail of one of the biggest scandals of present day Europe. Way to go ABC News! Maybe they can now go and present these facts to the Pentecostals in Norway and educate them about what their own Minister believed about Barnevernet so they can then stop defending it blindly and start defending their own brothers and sisters. Iosif Ton says there are 46.000 pentecostals and 10.000 baptists in Norway, imagine if even half would rise up and speak on behalf of the children who are brutally separated from their families for life for some ridiculous reasons. Great reporting, as usual DIT! Thanks for the encouragement. This is the Norwegian ABC news which is even more important because it is reporting inside Norway. 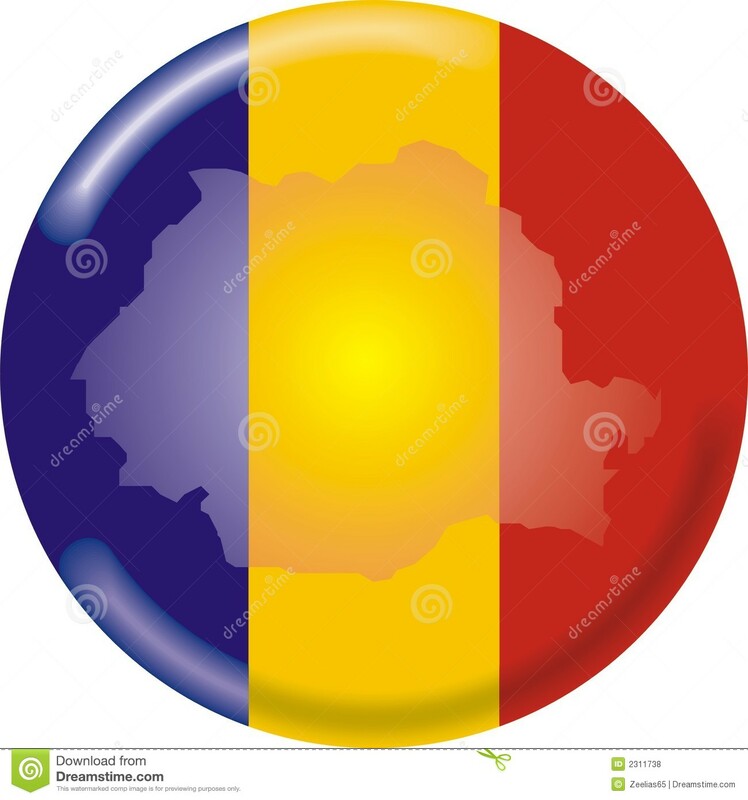 We must hope that the Romanian delegation members do not let themselves be pacified and talked around by milk and honey. Yes, I saw that article about Horne when she was in opposition (before her party got into the government). She knew about this ten years before that too, however. She has let all the bureaucrats of her department run her and it completely. All the new laws she has pushed through parliament, laws which profess to be SUCH improvements, have been pushed by her department, and they will have the wrong effect. By the way, Norwegian ABC News are hardly to be trusted, and I am not the only CPS critic to have been censorised out of their comments columns. They are like all newspapers: a lot depends on the editors’ and journalists’ more or less well-founded (more often unfounded) opinions, and ABC News have been rather obviously very solidly in favour of the CPS for a long time. If they now change their tune, it is probably – like other Norwegian press/media entities, there is suddenly something new in the air: other countries are concerned with our CPS! Let’s get a foot inside these foreign establishments! Well, auntie Marianne usually “sees Trojans everywhere”. Marianne, I was dissapointed to see the rethoric from CPS stepped up. It was reported in the Romanian press that the BV attorneys were furious with the Bodnarius for going to the Media. They threathened them. They told them that psych tests will be done on the parents and BV may keep the kids for another year. Are these people blind? Can’t they see the diplomatic wave and protests intensifying? Forget your disappointment, or you will be disappointed again. Of course they see how other countries react. The people in power are partly convinced that what we have in Norway is excellent, partly they are afraid of a deluge, partly they think Norway is on top of the world – our politicians and former politicians love to travel the world “creating peace” by telling other nations what they should do. They have no intention of giving in. There have been little dust-ups in Norway, including in our parliament, from time to time – one in the 1950 about how children were treated in a “home” for “misbehaving” girls. Official Norway will of course not be told by others that what they have done and defended all through the years, that which they believe is science, is maltreatment and torture. Did the communists respond to sensible arguments? I really hope the delegation the Romanians are sending here will not be talked around – all Norway is concerned about is to stop the publicity and continue to run things “our way”. Whatever our authorities and their enthusiastic practitioners and followers say to show how dependable our protection of children is, you cannot believe it. By the way, Delight, I posted a comment yesterday regarding one commenter who thought the Bodnariu case happened just because the parents have broken the law by punishing the children physically. The comment did not click in, and it has not appeared later either. I will try to reconstruct it (I did not save it), because it is really important for people to understand: Any argument will do! The majority of arguments coming from the CPS, accepted by the courts, have nothing to do with criminal offenses. Sorry about the comment, I just checked and I see no pending comments. I was a child in Romania in the 70s-80s when communism used some of the same tactics as BV is using in Norway. That is a an excellent point. Pressuring people to shut up. In fact I just found out that out of the 11 Romanian families who have had their children confiscated, only 7 are willing to meet to the parliamentary delegation coming to Norway. I bet it has to do with intense pressure to not talk. BV is probably telling them they will never see their kids again if they meet with the delegation. These are the horrors of communism all over again. Wondeful news! Not only for the Budnariu family but for all families affected by Barnevernet. The Law must change! Bless you and everyone willing to stand for what they believe in. May God walk ahead of you, with you, in you and open the right doors. Great news ! The laws have to be changed ! The system is alone in the modern world, heavilly financial motivated, and the goverment questionable actions in Bodnariu case becomes more evident every day! Is it really necesarry for all this energy to be wasted to expose this goverment abuse ? The norvegian system should take swift action to return the kids to parents, to avoid the growing and unavoidable embarrassment ! We should get on board, world known psycholgists, doctors, lawyers, politicians, Nobel prize winners. Dan, you have no idea how entrenched the system is and how comprehensive and ideological. Realise this: It is the government that is running it (any government, irrespective of political colour). If they were to return those children to their parents, what would happen to the other thousands of families who have been exposed to the same ill-treatment? It would become clear to the world that our authorities can after all be pressed to give in. So the system would crash to the ground. You seem to think that this case is a single mistake? They have for years now had compensation arrengements for FORMER children who “have experienced neglect and abuse in CPS care” – the compensations run into millions. And all the while they are creating new cases. But of course they always say – have said for decades – that abuse and neglect in foster care, that was BEFORE; it is all terribly different NOW. They are working on a new law – have been for several years. Do you know what kind of lawyers etc. who are working out the new law? Need I tell you? It will be worse than ever, if the legal changes that have happened over the last 25 years are any indication, and they are. All these “new” formulations are aimed at strengthening “the rights of children” – oh yes, but against their parents. Norway can not be brought to change the system by diplomatic talk. They have far too much invested in the present set-up, so they continue to defend it as long as they can. But it might be possible to topple the system in Norway by very heavy, practical sanctions brought on our country. We have a fantastic financial situation, with an oil fund which apparently makes Norway the world’s largest investor. But our authorities ARE concerned about our trade. They were quite frightened of the Indians boycotting Telenor and other Norwegian companies when the Stavanger / India case ran (this thread is sort of in Norwegian, but there are umpty links to articles in English: http://forum.r-b-v.net/viewtopic.php?f=314&t=6808). Czechia has done the right thing, withdrawing their invitation to the Norwegian ambassador to their independence celebration – sort of the next thing to expelling her, I should think. But in order to overturn the system and start to build a decent, normal social service in Norway, they would have to scrap everything: Out with every clinical psychologist, out with all the programs for “child protection” at the colleges and universities, programs which turn out myriads of new child “child protection pedagogues” every year. They also teach kindergarten personnel, and they teach the police, who assist the CPS taking children from their parents by force. Out with all the teaching staff at those programs, all the textbook writers. Out with all the worst lawyers who have either served the municipalities in running CPS cases or have served families but have actually cooperated with the CPS. Out with all the textbooks of “child protection law” which are obligatory for law students. Out with all the foster “parents”, all the institutions, all the “health nurses” and “social teachers” at schools, they examine children and spy on parents. Did I forget some important group now? My guess is it would be a fairly comprehensive job, and our population is not solidly against the system like the population in Eastern Europe were ready to rise against communism when it became possible. Booker is a senior writer for The Telegraph and has also written in The Daily Mail / Mail on Sunday. Aren’t there Romanians in Britain? Or in Denmark, The Netherlands, Germany, France, Finland? Sure to be. You are doing the right thing on this website, people: you are trying to explore the system, not only “arguing”. Definitely, in the longer run it helps to KNOW and UNDERSTAND what is going on, helps one not to be fooled by lies and surfaces. Things concerning the CPS are not always as hectic as just now. It is a long fight, yes, a kind of war our authorities are making against people. We cannot let this fill our lives every day, but we can stay alert, and if we have real knowledge then we can contribute on the right side when opportunity arises. There is a facebook page “I love Norway” that is labeled “entertainment” They currently have a graphic about Norway’s King. I had left a comment with a link to the petition for the children. It has been deleted, and I can no longer post there. Those news are still equal to null. Just political correctness talk from a minister like Solveig Horne, the child and equally minister of Norway. At least ABC News has done something. The censorship in Norway is well and working. Till today nothing had been done, no debate on national tv, nothing. Keep posting and talking about this. They can’t ignore us forever. What should the Romanian parliamentary delegation do in Norway? They can of course speak to Norwegian politicians and CPS administrators and CPS people if they like. A number of Czech politicians etc trying to help Eva Michaláková did the same thing. I’ll ask Suranya if she has the time to post something on “Delight in Truth”. She is busy, I know, with a new CPS case in New Jersey. It concerns charges of physical child abuse, but I’ll be posting something about the variety of arguments used shortly. The largest demonstration to date will probably occur this Saturday in Oradea, Romania. There will be many thousands. Will be covered by live TV in Romania. This is good news, but we need to remember that a glorious victory for the Bodnariu family, with complete restoration of the children to their home and parents, along with an apology from Barnevernet, will only be the beginning. Carrying the philosophy that “Your children are the property of the State” has allowed Barnevernet to devastate, divide and destroy families on a business model that uses family decimation as a means to a financial end: Foster families getting large payments, job security within the Child Possession System and justification to grow that CPS for larger payroll, larger salaries and employment for friends and family. Barnevernet needs to be restrained and not allowed to attempt to cry to the media the they are “looking out for the little ones.” Government, wherever it is, is virtually incapable of replacing the family. Yes, the Norwegian Child Protection Service do fail sometimes. No, we do not know all the facts or reasons why these children were taken from their parents. To delight in truth, please ask the parents for a copy of the full CPS report. The parents’ testimony alone is not enough to judge the CPS decision, especially when they have admitted to “slap” the children. Do the children experience this as just a minor slap? In other words, this case is about domestic violence since the children have been mistreated physically. Why haven’t the American or Romanian media investigated this thoroughly? In Norway, beating children is strictly prohibited whatsoever. Christian faith alone is not a cause, even if the parents claim that this is the main reason. To me, it is rather an excuse. I just can not understand why Christians – and pastors in particular – believe anything people say. I have met to many adults who have turned away from Jesus because Christian parents and pastors mistreated them physically or psychologically. Please remember: From a child’s perspective, getting beaten might be even more vicious when it is done in “Jesus’ name”. Øystein, this family has lost everything, but they are part of a greater community, the body of Christ we call it, the Church (evangelical). They are part of a global community, therefore you see the global response to this injustice. They were 100% honest with Barnevernet. They pulled the kids ear and padded their bottom as gentle discipline. THERE WAS NO VIOLENCE like you mentioned. THERE WERE NO BEATINGS like you mentioned. The older girl (9 years old) has written a letter asking to be returned to the family immediately. This was ignored by BV and media. Don’t you think it was a disproportionate response to confiscate the kids without investigating, without first counseling the family??? Isn’t it ironic that for parents to apply loving discipline to those they love most in the world is redefined as violence, and thus considered evil, but for an unaccountable, uncompassionate government agency to use that as an excuse to ‘discipline’ the entire family by tearing them apart, splitting the children up, etc. which any rational people would admit is psychological and emotional torture is somehow twisted to be good. Right on, Matt. The more I research his monster, the more unsettled I am. Think of BV as the DMV in the US or the VA system or even the military- with a very, very large govt budget. They employ a ton of people (social workers, psychologists, agents, observers, etc- these people go to your house to watch you care for your kids). This system has tremendous inertia. These abuses have become the norm. Human rights violations are the norm and the majority of people think nothing of it. If you are on FB (I don’t think you Matt are) follow Marius Reikeras one of the main voices in Norway against BV. “Marius Bodnariu is not allowed to see neither his two sons, nor his two daughters. He can only see the baby. But in reality,he is given no time with his baby. Only Ruth is allowed to see her sons, but neither she is allowed to see her daughters. The eldest daughter has written a letter, where she clearly expresses that she misses both her parents and her siblings. As well as the rest of her family. The siblings are split in three different foster homes. And they live on secret adresses. Not even the Romanian government knows where they are. The letter from the daughter, was tried to be kept secret by the public officials,and was not presented when the case was dealt with in the County Board. This is crime against humanity. Yes, this is crime against humanity! You are correct that we’re not on FB, but we have been following this case very carefully, most especially through the efforts of yourself, rodiagnusdei.wordpress.com, and popaspentrusuflet.wordpress.com. It is really sad to see an organization like this operating in what is supposed to be a civilized country. From what I can tell, in my limited research, it seems to be the perfect formula for governmental abuse and tyranny. –	The federal government sends money to local governments, but does so in such a way as to incentivize local governments to identify ‘problems’ and take children. For example by sending large amounts of money to foster parents as you’ve noted, hiring armies of social workers/agents/psychologists who must reinforce the need for their own existence. –	The federal government then claims that the rules and standards are under purely local control, which might not be a disaster if they were spending local tax money, and had to answer to the local citizenry, but that is clearly not the case, nor are the rights normally granted to citizens by a federal government provided. This will of course lead to rampant abuse, persecution of ethnic and religious minorities, etc. –	The local officials are not obligated to follow rules, nor are they prosecuted when they violate them. Whereas we might expect that if a gov’t official broke the law or fabricated evidence their case would be dismissed and the official would be prosecuted. I am completely convinced that given a trained psychologist on my payroll and the authority to take children at my whim to interviews with a length of my choosing, I can find an excuse to take any child who is living in Norway from any parent or institution, natural, foster, or adoptive. When it’s impossible to NOT be in violation of the law you are living under tyranny. Americans should also take note that the left in this country already uses language such as ‘children not belonging to parents’. The neoprotestants in Romania are actually treating their kids the best and not beating them. I don’t see why Marius Bodnariu would have to go to your country to start beating his kids, especially since he knew your crazy laws. He would have stayed here in Romania if he intended to do that. Also, Ruth is a registered nurse in Norway and has a career built on helping kids. She used to volunteer in Romania and work with the street children before she was married to Marius. On the other hand Øystein, why should we believe BV? When they have a history of secrecy, deceit (see earlier articles here on this site) and history of human rights violations as decreed by the European Court of Human Rights? Separating forcibly children from parents is a trauma for all involved, as nothing can replace the love of a mother and a father. It’s nature! And the Barnevernet ways are brutal and vicious, and the opacity that surrounds all this only makes things worse, because the evil is presented as “the best interest of the children”. Because other Christian people mistreated children does not mean parents who disciplined their children in a mild way, and are Christians, are to be treated like criminals. You write:” I just can not understand why Christians – and pastors in particular – believe anything people say”. One of those pastors is the father’s brother, and his testimony is enough for me. Why would I believe instead the allegations of Nausdal people who probably have a grudge against Ruth Bodnariu and ther family, especially her former collegue who built this horrible case, and all this Barnevernet system a whole world denounces and only brainwashed people believe? “The eldest daughter has written a letter, where she clearly expresses that she misses both her parents and her siblings. As well as the rest of her family. This is quite usual. Lies on the part of Barnevernet and foster parents about what the children want and what they say and do, are among the most frequent lies in CPS cases, I think (I have not done any statistical study but have often come across it – sometimes huge lies). There was a posting earlier, to the article “More Dishonesty …”, from MeMeNo, with a link to an article where that was an important point. It was a case which was very rare in that the lie was exposed in court and actually contributed greatly to a boy being allowed to go home. (There was another important point too in the article.) I’ll see if I can translate a little later. The Romanian parliamentary delegation has had the meeting with the County Governor (Fylkesmannen) in Sogn and Fjordane, which is the county where Naustdal is located. There is some good and some bad. If the Romanian delegation has understood that their meeting with the County Governor was exactly the way Barnevernet and all the authorities that defend and protect them always act, then good. So if the Romanians have, implicitly or explicitly, promised that they will respect a court judgment, does that mean that they will then let the case fall? They must on the contrary look to the Czechs, who will not let the general questions regarding the CPS operations in Western countries die down. How likely is it that the Bodnarius will win in court? Very unlikely, on the basis of how most comparable cases go. The courts will in addition be very frightened, I should think, to let the children out of CPS hands, because then we might have very strong sanctions on us from Czechia, and maybe Poland and Lithuania as well. India had to just about announce that they would, in a non-literal sense, bring some battleships up to shell Stavanger!, in order to get the Bhattacharya children back. Marianne, the two senators Ardelean and Corlatean are bright people. They know the issues. They are in contact with the family and other activists. They are in communication with Marius Reikeras as well. At this point the delegation is just one way to apply pressure. Protest via social media, via blogs, via email is another means to apply pressure and it is being done. Then we have the protests in front of embassies. BTW, the largest protest to date will occur this weekend in Oradea, Romania. I expect it will be huge. There are more protests being scheduled in the US as well. Publicity on European TV stations and media is another important piece of the puzzle. European Court of Human Rights is also involved. We are still waiting for a BIG TICKET news outlet (BBC?) to pick up the story. CPS is being pressured from different sides like never before. I know you are not optimistic, but this movement is picking up steam. We now hope for justice in many other cases not just Bodnariu. Excellent! It is just that quite frequently I see fairly high-up Romanians writing about what Norwegian CPS should do – as if anyone in authority here is interested. I don’t want to be pessimistic, but I think innocent optimism is a hindrance to progress. I want to be proven wrong in my pessimism! It would add sunny days and months to my life-span. What about the Nan family – I saw something about them, their name was included in one demonstration? One very good thing all the interest from Romanian-related groups around the world has done is to start putting these “Christian” circles in Norway in their place. Although they are in no way a political majority, I think they are extra reprehensible, with their virtuous claim to be so very concerned about “the family”. whose editor Mr Finn Jarle Sæle takes a different stand. He is really critical of Barnevernet and the usual propaganda and has defended CPS victims on various occasions, including a large article recently, precisely in connection with the Bodnariu case (it is not on the web yet but will be). Norge I Dag is not rich, I am not sure if they receive state subsidies at all – it tends to make a difference to the way one sees the world. Matt’s posting above, of 12:48 today, is among the best descriptions I have seen of the whole caboodle. So straight to the very simple, central points. Matt has been a friend of DIT since the early days of the blog and he writes very well. Thank you. I only wish we were discussing something uplifting and not the Barne Vermin. Humanity versus Norway, then? Because this policy really is “crime against humanity”. So sorry for the poor kids and their parents!